“The Truth is in Her Genes” is a gripping mystery/thriller by James Goodwin. Delta was raised by a mother who prostituted herself for drugs and alcohol. In and out of the abusive foster care system, Delta begs a stranger to be her guardian when her mother dies of an overdose. At fifteen years of age, Delta is used to being the caretaker in her family. As an honor student, she knows that if she is sucked backed into the foster care system, she won’t stand much of a chance of achieving her huge goals. Fortunately, fate brought the right person into her life and Ollie agrees to follow through. He goes above and beyond his role of a guardian and in time, Delta and Ollie are a family. Since she has no clue who her biological father is, she finally has a father in her heart. The only thing she knows about her birth father is that he was in a Delta fraternity, because that is how her mother said she got her name. To encourage her to explore her roots, Ollie buys her a DNA test from a genealogy company for her birthday. After she takes the test, Delta connects with a relative that appears to be a first cousin. The man believed to be her father is a well-known politician. When Delta’s cousin goes to a family member with information about Delta’s existence, there are suddenly attempts on her life. Time is running out as Delta desperately tries to find out who is trying to kill her before he succeeds. While the situation appears dire, many blessings come from it. When I took a DNA test, I did it mainly for fun. From this test, I met a distant relative who grew up in my grandfather’s household, and I got to hear stories about my other relatives. Never did it cross my mind that I would receive unwelcome information or that it could be used to hurt me. Using DNA testing as a premise for attempted murder is extremely creative and kind of makes one think about how much personal information is put out there! 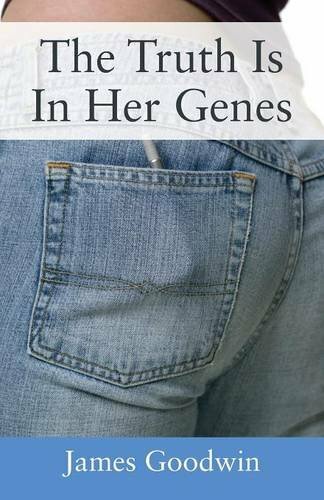 "The Truth is in Her Genes" by James Goodwin is very realistic and gritty. Unfortunately, the story of Delta’s upbringing and experience in the foster care system is a horrible reality for many young people today. Having a real guardian step in to take care of someone like Delta is probably every foster child’s dream. Having her life in danger because of the truth of her upbringing brings one crashing back down, but like mentioned before, many blessings result from this compelling story. Highly recommended reading!